The current study was motivated to reveal the evolution of MnO-SiO2-Al2O3 inclusions during protective atmosphere electroslag remelting (P-ESR), and the effect of slag composition on the inclusion evolution. The oxide inclusions in the consumable steel electrode were ternary (7.1-26.4 mass pct) MnO-(53.3-82.8 mass pct) SiO2-(8.3-23.1 mass pct) Al2O3 without exception, which were fully removed during the P-ESR in two ways: a portion of these inclusions were dissociated in its individual chemical species into liquid steel, whereas the others were removed by absorbing them into molten slag before liquid metal droplets collected in liquid metal pool during P-ESR. The oxide inclusions both in liquid metal pool and in remelted ingots are mostly MgAl2O4 (containing about 3 mass pct MgO) and Al2O3 inclusions, irrespective of the SiO2 contents (1.9 to 9.0 mass pct) in the slag. These inclusions readily formed in the liquid metal pool as a result of the reaction between alloying elements and the dissolved oxygen in liquid steel that dissociated from MnO-SiO2-Al2O3 inclusions. Manuscript submitted December 10, 2018. The authors would like to thank Prof. Zhanmin Cao, Prof. Bryan Webler from Carnegie Mellon University, Dr. Hongbin Yin from ArcelorMittal Global R&D for the fruitful discussions. The financial support by the National Natural Science Foundation of China (Grant Nos. 51874026 and 51774225), and the Fundamental Research Funds for the Central Universities (Grant No. FRF-TP-18-004A3) is greatly acknowledged. 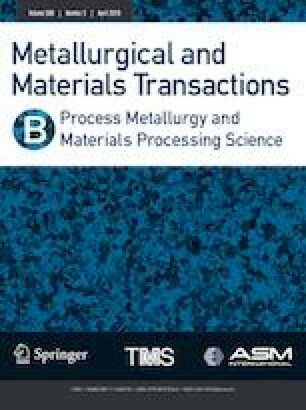 The authors are also thankful to the financial support from the State Key Laboratory of Advanced Metallurgy (Grant No. 41618020).